Would you like to do some shopping in Bratislava? If so you are facing a little challenge. Unfortunately the city center in Bratislava is not packed with shopping opportunities as bigger cities. There are shops, but the most famous brands can not really be found here. 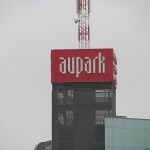 To do some real shopping you will have to cross a bridge and then you will find AUPARK – Bratislava Shopping Center. 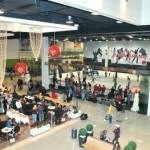 There are several other centers as well to be found in Bratislava. 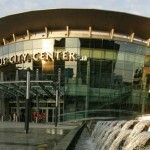 Polus City is a very popular center and it is easy to reach using tram. Avion is another center which is located quite near the Bratislava Airport. If you want some local authentic shopping, visit the open-air markets at the Miletičova Street and Žilinská Street.